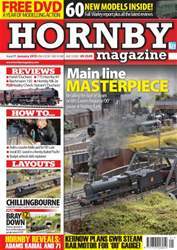 FREE with the January issue of Hornby Magazine is our annual exclusive DVD featuring over 45 minutes of footage including highlight layouts, new models and the Great Electric Train Show. 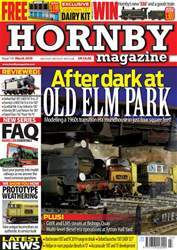 Leading the magazine is a full report from the Warley National Model Railway Exhibition including new announcements from Hornby, Heljan and Kernow Model Rail Centre as well as all the latest production updates. 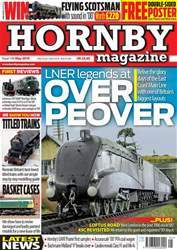 In the reviews Bachmann's 'N' gauge Stanier 'Duchess' arrives plus the retooled 'OO' gauge Class 150/1 while Hornby releases its Twin Track Sound Peppercorn 'A1' and BR Mk 2e carriages. 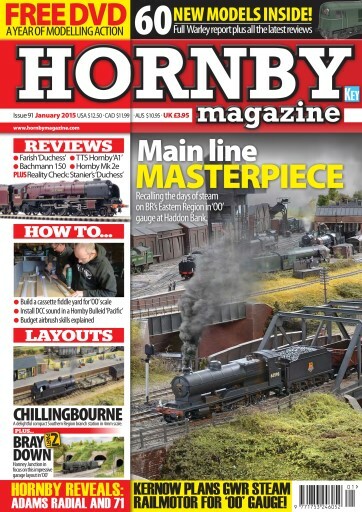 Feature layouts cover Chelmsford and District MRC's Haddon Bank, Part Two of our feature on Graeme Davies Bray Down and Chris White's delightful Chillingbourne. 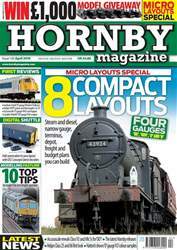 Plus we show you how to build a cassette fiddle yard, get the most from a budget airbrush and install DCC sound in a Hornby Bulleid 'Merchant Navy'.